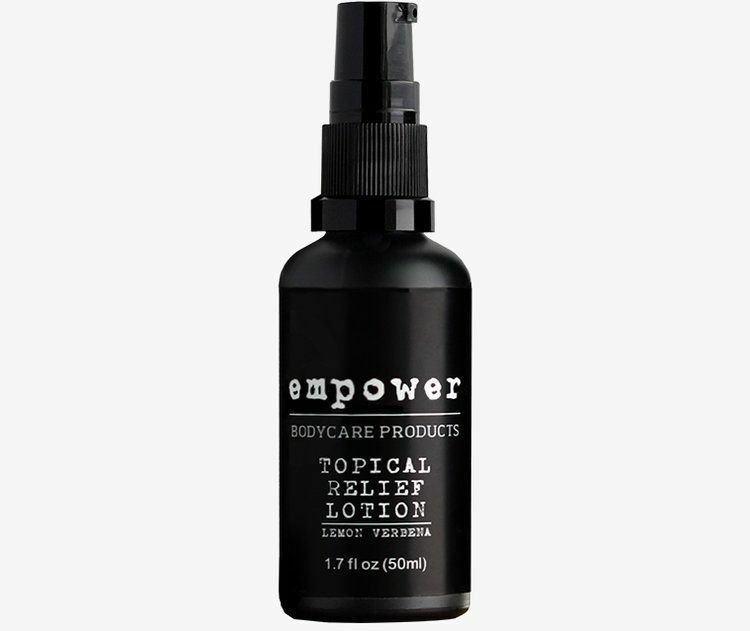 The synergistic combination of essential oils, organic carrier oils, and cannabis extracts in Empower Topical Relief Lotion soothes discomfort, refreshes and moisturizes the skin, and helps invigorate the body. This lemon verbena scented lotion absorbs quickly without leaving behind any greasy feeling. Every batch is 3rd party lab-tested for superior quality and potency. Ingredients: Organic Aloe Leaf Juice, Water, Organic Sunflower Seed Oil, sustainably sourced Isopropyl Palmitate, Glyceryl Stearate SE*, Cetyl Alcohol*, Stearic Acid*, Glycerin (Kosher Vegetable), Organic Shea Butter, Organic Jojoba Seed Oil, Vitamin B5, Vitamin E, Green Tea Leaf Extract, Grapeseed Oil, concentrated Cannabis, Lemon Verbena, Xanthan Gum, a proprietary blend of essential oils, Bergamot, Phenoxyethanol, Ethylhexylglycerin. Warning: Due to the nature of the application of this product, a positive drug test may occur with use. However, this product does not cause intoxicating effects.